Can You Create Abundance Through the Law of Successful Giving and Successful Receiving ? Thanks for visiting WorkFromHomePro, this blog post is going to help you create abundance in any business model through understanding and embracing the Law of Successful Giving and Receiving. I’ve learn this from an expert Bob Burg who is well known speaker and networking guru. Networking Marketing really is all about giving (being a go-giver as well as a go-getter) and how giving will come back to you many times over. This is based on Universal Laws and principles which have withstood the test of time. Most people are familiar with the saying “give and you shall receive”. A spiritual principle from the Holy Bible (KJV) Luke 6:38 says “Give and it shall be given unto you, like all spiritual principles it has physical counterparts. Many have had this happen in their lives “there is nothing” blah-blah-blah or theoretical about this. This is the “Law of Cause and Effect”. Through giving you receive and following any spiritual principle brings with it a physical manifestation. It is amazing that our creator has organized the universe in a way that every Universal Law if understood and acted upon will provide results that are predictable over time. Why does this principle work? 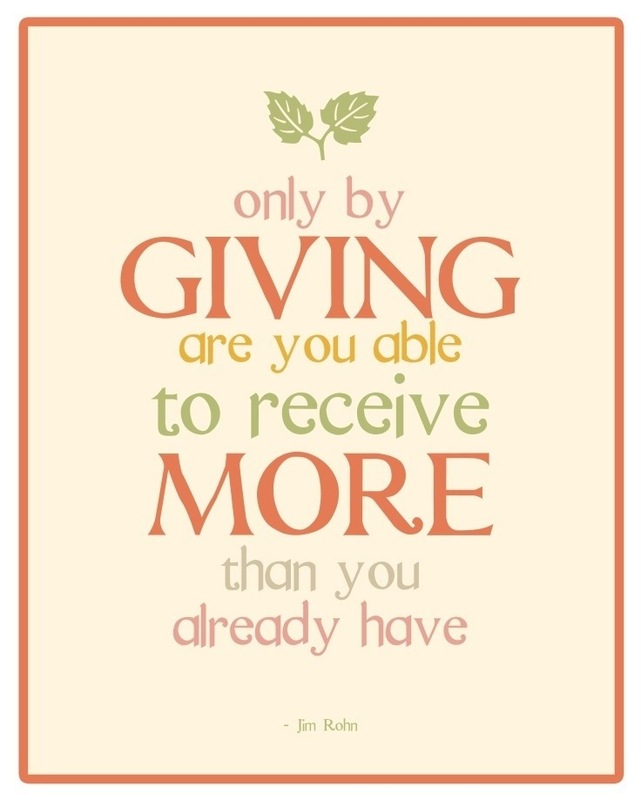 Why do we receive so abundantly when we give? “You cannot give a person more in cash value than you take from them, but you can give more in use value than cash value of the thing you take from them”. Another way to say this “Give someone more in use value than what you take from them”. In other words, always do your best in adding more to their life, more to their success than what you’re getting from the relationship. People are engineered with the desire to increase,health,wealth,artistically,spiritually and practically every other way imaginable. This is why when you have a skill or product,service or skill that can help increase an aspect of their life they wish to increase you can make tons of money. Like I’ve mentioned from Bob Burg in my post Seven Keys To A Positive Personality “All things being equal,people will do business with,and refer business to those people they know,like and trust”. When we give to-or do something for-someone, we take an important step towards causing these “know,like and trust” feelings toward us in that person. They feel great about you, and desire to give back to you. What’s important to remember is to give, not with an emotional demand or attachment that the person to whom you gave must give back to you or repay you in-kind, but simply because you enjoy adding to the joy of, and increase in life to another human being. Give for the right reason and you benefit greatly, give for the wrong reason and you don’t receive.